you can live anywhere and help! In wake of the massive 8.9 magnitude earthquake that hit the Pacific Ocean, Pakistan Youth Alliance proposed the creation of a charity project that mobilized the power of youth to participate in spreading relief to Japan. Students and alumni from both the University of British Columbia and the University of Calgary committed to this project. 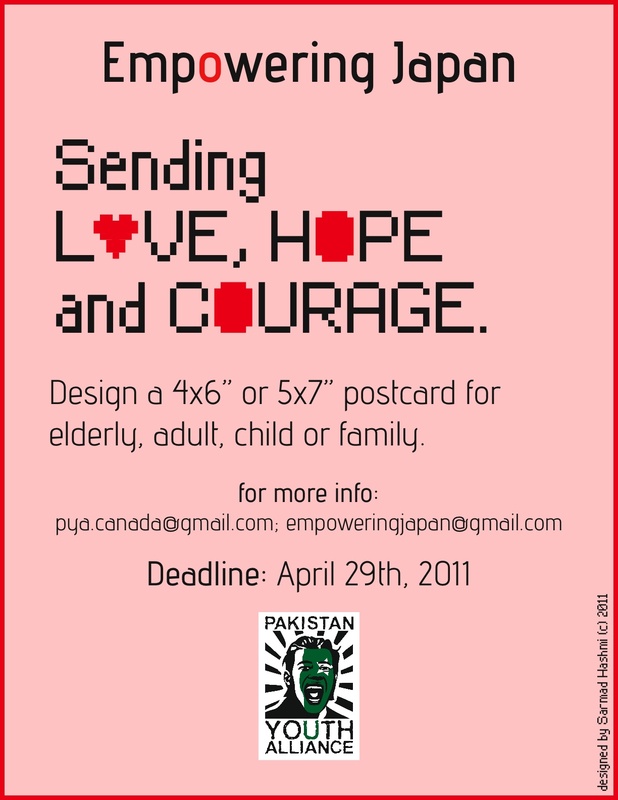 PYA Canada is fully supporting this project and wants everyone to participate in this great cause. This is important for students to be able to contribute with their creativity so their lack of personal funds does not hinder their compassion to help relief efforts. Everyone is asked to create a postcard (4" x 6" OR 5" x 7" ) with supportive, positive, hopeful and encouraging messages via pictures and text. The postcard will target envisioned recipient(s) according to age and gender: family, elderly, adults and children. The collection of art pieces will be filtered for appropriate content according to our guidelines before being sent. They will print it for you without any cost and will add to our collection. The postcards will be allocated in different shelters around various affected regions in Japan. We are currently connecting with Red Cross in Japan to aid in the distribution of postcards. Our goal is to have 500 postcards divided and distributed to reach 10-20 locations. 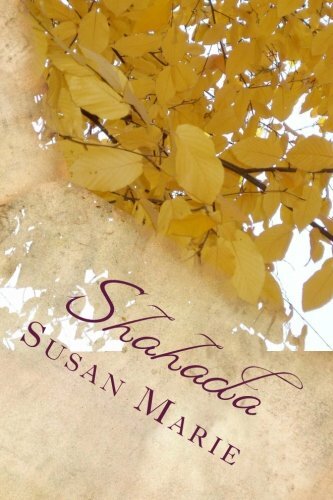 Your creation, if you wish, will be posted on the internet for promotional purposes only. We do not hold responsibility if the image is taken by a third party for their personal use. You hereby acknowledge that any work posted online is liable to be stolen or misused and waive any accusation against our team. Our pledge to you is that we will post it on the gallery of our website (i.e under the project named: Empowering Japan) with your description. This is only for promoting the project. We are not accountable if the image was used for other purposes than the above mentioned. You hereby waive the right to take legal actions against the misuse of your image once it is in public circulation.